Hey kids, did I ever tell you about the time CBS ordered a new comedy pilot from the creators of How I Met Your Mother? It was the winter of 2017, and the country was in the midst of a political nightmare that could only be fleetingly banished from your thoughts via a stiff drink or making fun of that actor who spent $3 million to shoot a journalist’s ashes out of a massive cannon, then accused others of wasting his money. 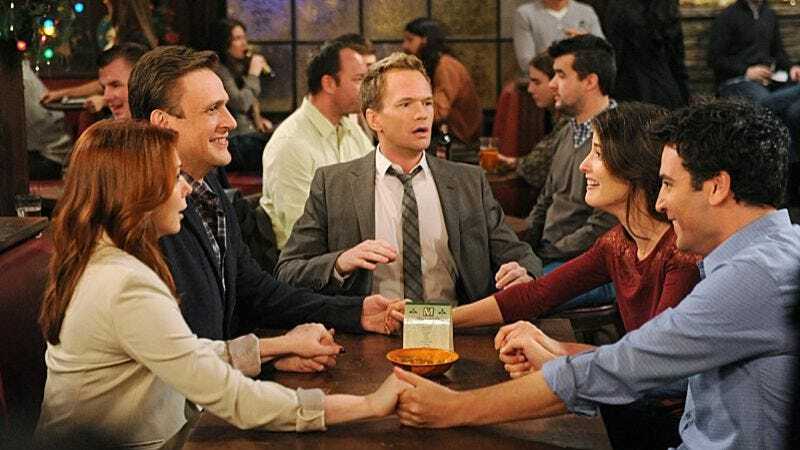 Anyway, it was a cold February morning when Deadline reported the network had ordered the comedy Real Life from HIMYM creators Carter Bays and Craig Thomas, along with that show’s writer Hilary Winston. The series revolves around two twentysomethings who go from being co-workers on opposite coasts to sharing the same office. Also, there’ll probably be some way for Neil Patrick Harris to cameo, if CBS could have a wish list. See, kids, this new pilot was actually a retooled version of one the network ordered the previous winter, based on a web series by Avital Ash called 7P/10E, about a young couple that starts a long-distance relationship. Given the description of the new iteration, it sounds like CBS loved everything about it except for the defining “long distance” element that drove the whole story. Much like the attempt to bring back the failed How I Met Your Father series, there’s no rejected idea that can’t be fixed just by changing basically the entire concept into something totally different.